We have a rather fabby new Challenge for you over at Tiddly Inks today... Springs In. Yep, it's that easy. I decided to play with Wryn - Spring Bling, another of the Tiddlies that I have wanted to colour up for ages. And I went with a colour scheme that all the shops are full of at the moment, yellow and grey. Yum. Actually, I like it now, but I will admit it took a while to grow on me! Beautiful colouring. The hair is so realistic! Lovely image, great coloring and cute design! 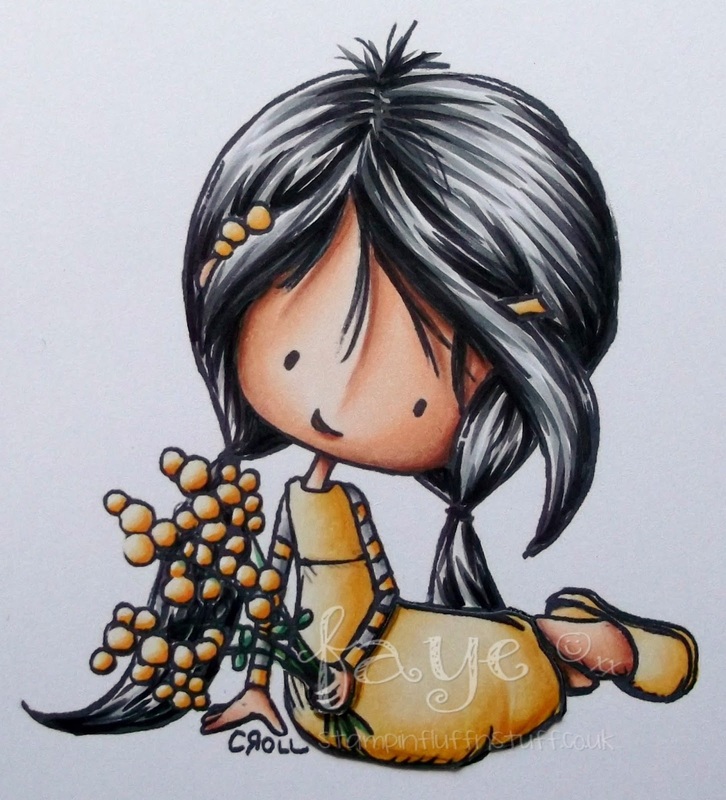 Adorable image and colouring, very chic design too. And your colouring is FAB as always, sigh, gorgeous colourcombo too. She is absolutely GORGEOUS! I love how realistic her hair looks. Another beautiful creation. Have a wonderful day! Grown on me instantly. Love her. Hugs Muver. I love this card! Holy cow, you did a smokin' good job on her hair... I have a hard time with dark hair but you nailed it. Perfection! This is a color scheme I love, but I don't think I've ever used it myself. It's really delicate. I love the design of the sentiment too. I'm still swooning from when I saw this on FB.......... it's just BEAUTIFUL! You have amazing coloring skills, my dear! 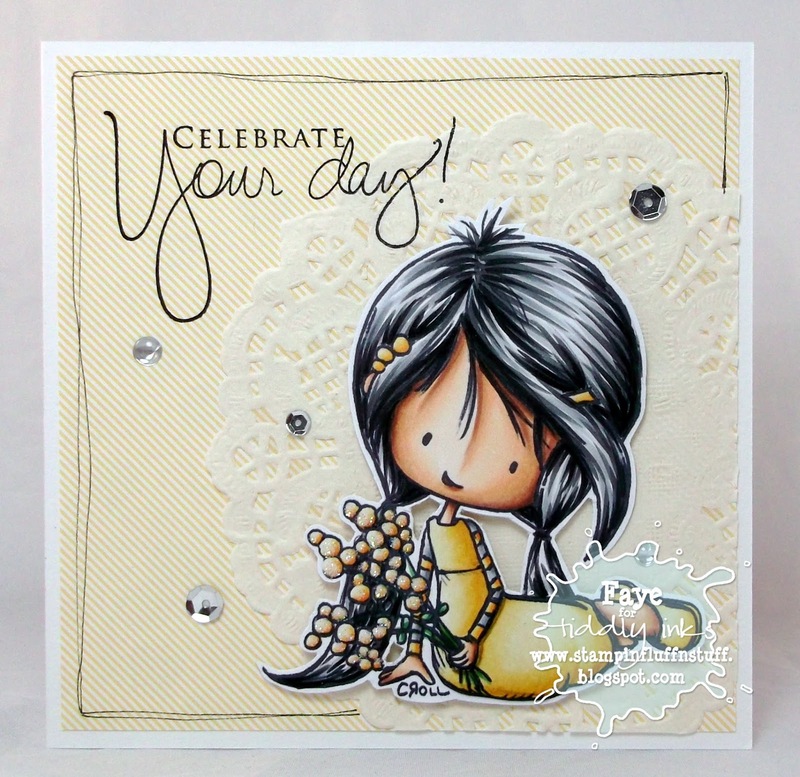 This is such a beautifully put together card...and I have to admit the yellow and grey grew on me too, but now it's a favorite color combo. Thanks for playing along with the Paper Girls challenge this week!